​This activity book is for children of all ages, and follows Sand Piper as she explores the mighty Mackenzie River, and learns about water stewardship along the way. Species at risk in the NWT need your help! Find information and fun activities to quickly integrate NWT species at risk into your lesson plans. These teacher's guides range in grade level from grade 1 to grade 10. 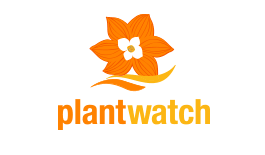 This PlantWatch Curriculum was developed by PlantWatch, Nature Canada, and Environment Canada, to offer activities and lesson plans related to PlantWatch. It covers Science, Math, Social Studies and Language Arts, across a variety of grade levels. "The CFA Teaching Kit Series provides educators with the tools to help young people better understand the value of forests and the importance of protecting and conserving them." Each kit includes detailed lesson plans, practical information on forest issues, and examples of relevant recovery, conservation and stewardship programs. The lessons incorporate interactive, hands-on activities that reflect science and geography based learning outcomes and expectations in Canada’s provincial and territorial curriculum guidelines."